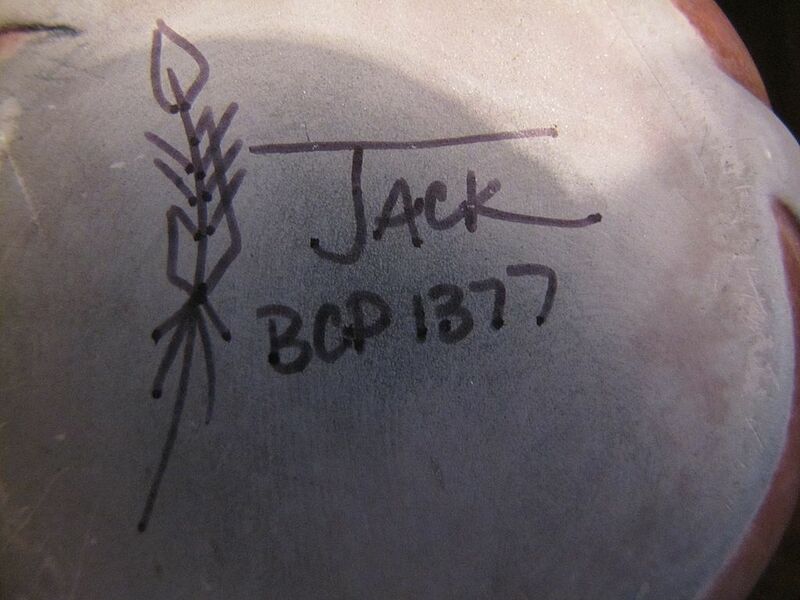 This is a Native American vase by Jack of Bear Claw Pottery. 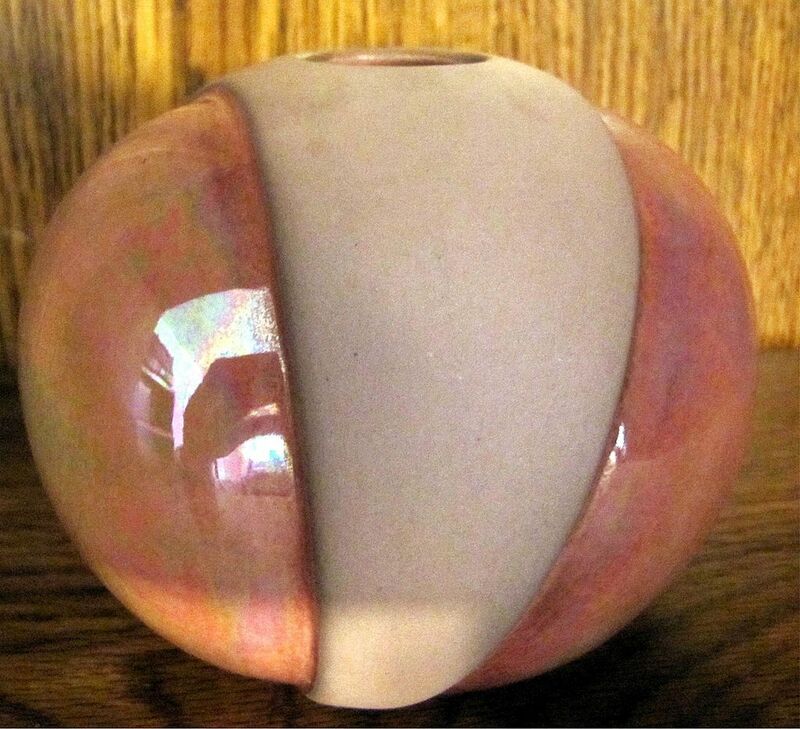 It is very well made with a beautiful iridescent glaze. The center has a gold bear claw raised design with a turquoise stone in the center. It measures 4 1/4" in diameter and is 3 1/4" in height . It is signed and numbered on the bottom. 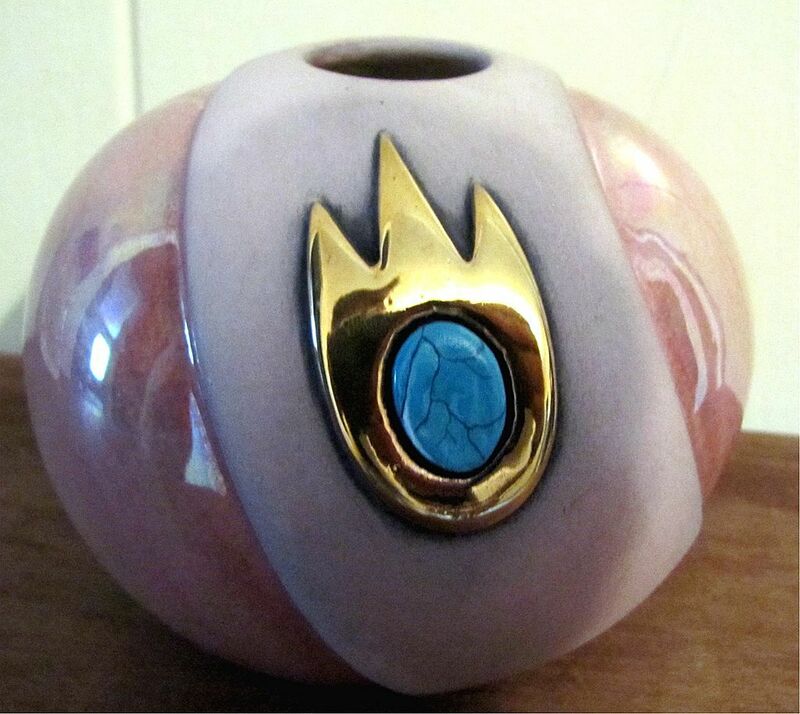 A very unusual piece of Native American pottery.